On Tuesday, Lt. Governor Tina Smith and DEED Commissioner Shawntera Hardy launched the #InnovateMN campaign. The campaign aims to highlight Minnesota’s spirit of innovation by sharing the stories of business owners and entrepreneurs. “Innovation is embedded in our [Minnesota] identity … our campaign will highlight the contributions of Minnesota’s innovation economy and connect the next generation of entrepreneurs to available resources. I encourage Minnesotans to share their #InnovateMN stories and contact the Department of Employment and Economic Development to learn how to make their ideas become a reality,” said Lt. Governor Smith. Smith’s office and DEED highlighted the importance of programs and services like the Angel Investor Tax Credit Program and their role in supporting and spurring innovation, as well as encouraging continued investment in Minnesota’s innovation community. Learn more about #InnovateMN at mn.gov/deed/innovatemn, follow #InnovateMN on Twitter and continue the conversation on DEED’s Facebook and Twitter accounts. 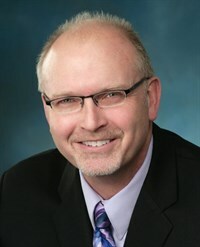 Senator Roger Chamberlain (R-Lino Lakes) represents District 38, which includes the communities of North Oaks, White Bear, Centerville, Hugo, and Lino Lakes. He was first elected to the Minnesota Senate in 2010, and is serving his third term. He serves as the current Senate Tax Committee Chair. When I’m not serving as a legislator I work as a financial advisor at Thrivent Financial. When I was elected they were very accommodating and supportive of my increased responsibilities. I used to be pretty into bicycling, but I haven’t had as much time as of late to do it. Recently, I’ve taken up fishing, and I’m also an avid reader. Right now I’m reading Walker Percy’s Lost in the Cosmos. 3. How is it being the tax chair, one of the most coveted positions in state government? I feel fortunate, and I’m humbled to be in this position. I don’t think I ever imagined that I would be a State Senator, let alone the Senate Tax Chair. I think we’ve got a wonderful committee, great Senators, and fantastic staff, both partisan and non-partisan. 4. What has been the most surprising change now that your caucus is in the majority? I think the most surprising change that I’ve seen is that there’s a whole different atmosphere. When I was first elected to the majority in 2010, I think I and my freshman class felt like we could change the world. We wanted to do everything at once – and that’s what’s changed. Now we’re veteran legislators, and we understand things take time. This session I’ve seen a much more cohesive, bipartisan Senate, and part of that is in part due to the narrow majority, and the fact that we’re in a full four year term instead of a two year, which means we’re stuck together for longer. 5. Why is the health technology community important to you? Well the industry is important to the state. Healthcare touches everyone, and because of that, health technology touches everyone. Minnesota has a history having a great workforce, and being a place of innovation. The medical health technology community is important to our state because it’s an essential part of our economy. As long as we give people the tools to be successful, business will grow and thrive. Right now we’re not giving people those tools because we have a toxic business climate, high taxes, and heavy restrictions. Because of that, we need to find ways to help people succeed, and that means lowering taxes, removing red tape, and incentivizing them to do business here and stay here. 6. What are some of your legislative priorities for this session? If I had three priorities this session, they would be tax relief for Minnesotans, K-12 funding for dyslexia, and funding for vouchers/credits so that parents have more school choice. 7. Use one word to describe you as a Senator. I don’t take myself too seriously, and that’s something I think a lot of legislators struggle with. When you’re elected, you’re representing everyday people, and at the end of day you’re an everyday person too. Putting things in perspective reminds you of why you were elected, and why you’re here. The Senate Jobs Committee met on Monday to hear from DEED on the Governor’s budget recommendations. Included in the budget recommendations were the Angel Investor Tax Credit, Investment Fund and Job Creation Fund. Commissioner Shawnterra Hardy highlighted items that are priorities in the Governor’s budget. The Governor is recommending $10M be set aside for the Angel Investor Tax Credit. The Governor is also recommending adding to the carve out disability-owned and veteran-owned businesses which now include women-owned, minority-owned, and businesses in greater MN. For the Investment and Job Creation Funds, Dayton is recommending $6M this year, and $4M for ’18-19. Both programs are legislative priorities for MAA this year. Check out our one pager’s on why these programs need to be fully funded this year. Earlier this week, U.S. House Republicans announced their intent to repeal Obamacare’s system of subsidies and replace them with a refundable tax credit. To lower the cost of healthcare, Republicans are proposing relief on taxes that are a part of Obamacare’s funding mechanism. Included in their list was the Medical Device Tax, which has affected Minnesota’s Medical Alley. While the situation in Washington remains fluid, news on the Medical Device Tax’s inclusion in their relief agenda gives the situation an optimistic outlook. You can check out the full report here. Congressman Jason Lewis signed onto a letter of Freshmen Congressmen and Congresswomen to Speaker of the House Paul Ryan, urging the fast-tracking of a stand alone bill to repeal the medical device excise tax. The letter urges for Congress to act swiftly and make this a top legislative initiative for 2017. MAA thanks Congressman Lewis for his leadership! Letter can be found here.